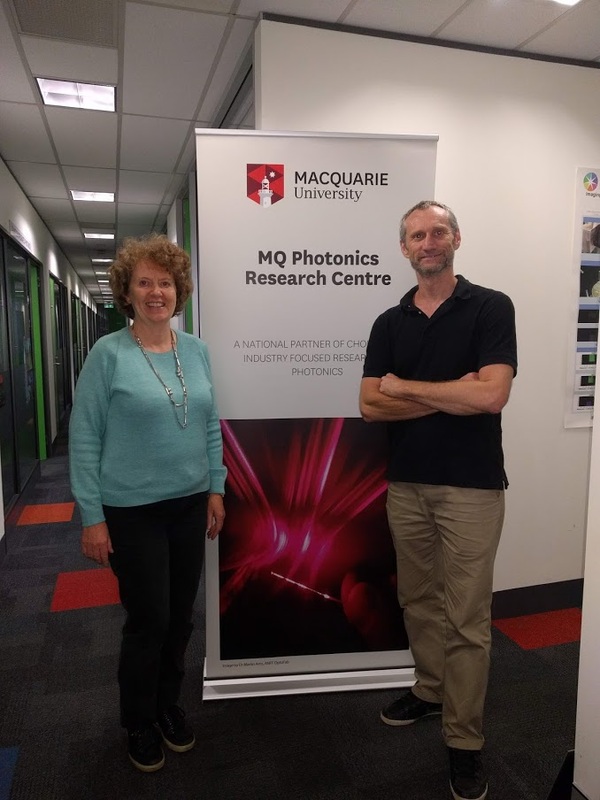 Profs Rich Mildren and Judith Dawes gave industry-focussed seminars to MQ Photonics on their recent visits to Avalon Air Show 2019, in Melbourne and Science Meets Business in Brisbane (2018). 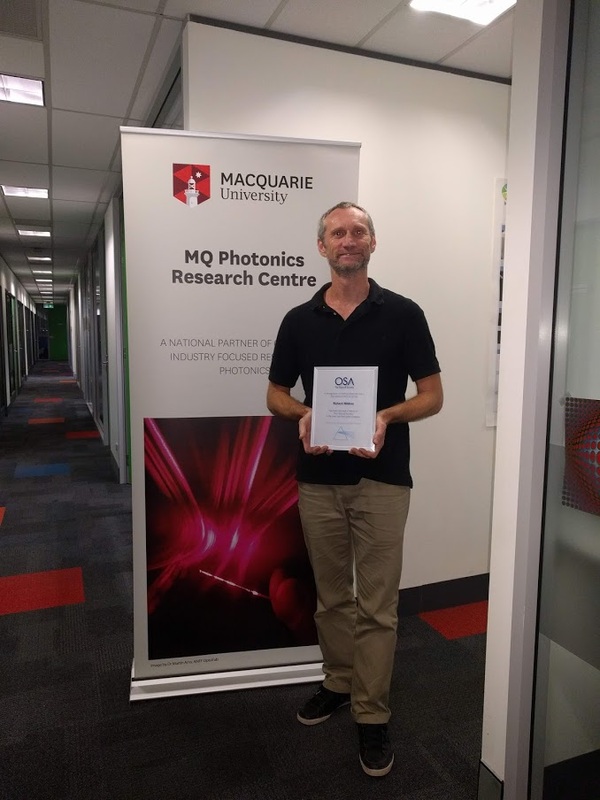 Prof Rich Mildren was awarded his 2019 OSA Fellowship "For pioneering scientific and technological contributions in diamond optics and laser engineering, and associated achievements in promoting these fields in academia, industry and to the public". The MQ Photonics Research Centre seminar series covers current trends and exciting new research in photonics. Up and coming seminars are listed here for the rest of the year, along with an archive of past seminars. Return to this link regularly for update. Prism Award 2019 to Modular Photonics! New upgrade solution for multimode fiber networks - 100X boost in data rate in less than 1 hour. For significant innovative research contributions to lasers, rare-earth doped laser materials and biomedical laser applications, as well as substantial professional promotion of physics and optics education in Australia and beyond. For pioneering scientific and technological contributions in diamond optics and laser engineering, and associated achievements in promoting these fields in academia, industry and to the public. They join Prof Jim Piper, Prof Brian Orr, Prof Michael Withford, Prof Deb Kane who are also Fellows of OSA. A world-first optical fibre as fine as a human hair has been developed, which can transmit 1.2 petabit of data per second - 12 million times quicker than the fastest NBN connection.